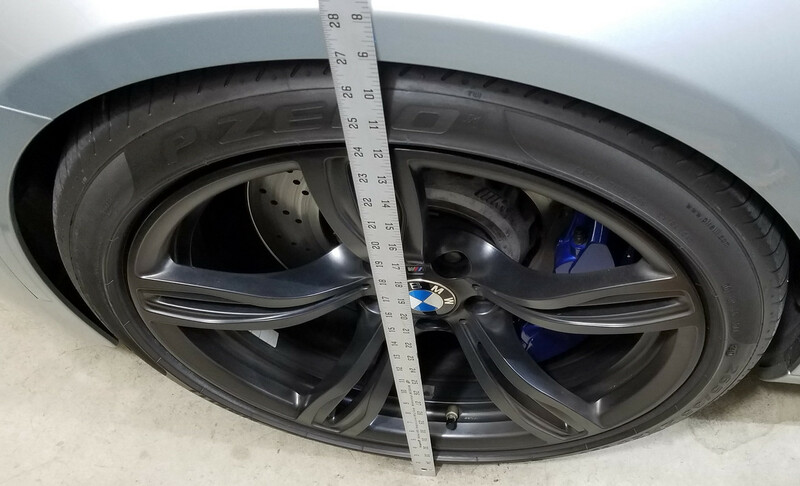 I’ve been searching for quite some time and wanted to see what setup I should go with on my M6 Grancoupe competition package. I see a lot of people end up going with 10F/10R, 12F/10R, or 12F/10R... after looking at my car from various angles I was thinking of going 10F/12R. Maybe I’m crazy but the 601 rear wheel on my Grancoupe seems more tucked in when compared to the front. Does anyone have a pic of ther M6 GC with 10F/12R??? My original plan was 15MM front & 12MM rear. Problem is the front tire has a lip so it poked out of the fender by 4MM or so. If that lip matched the rear tire then I would have stayed with this setup. 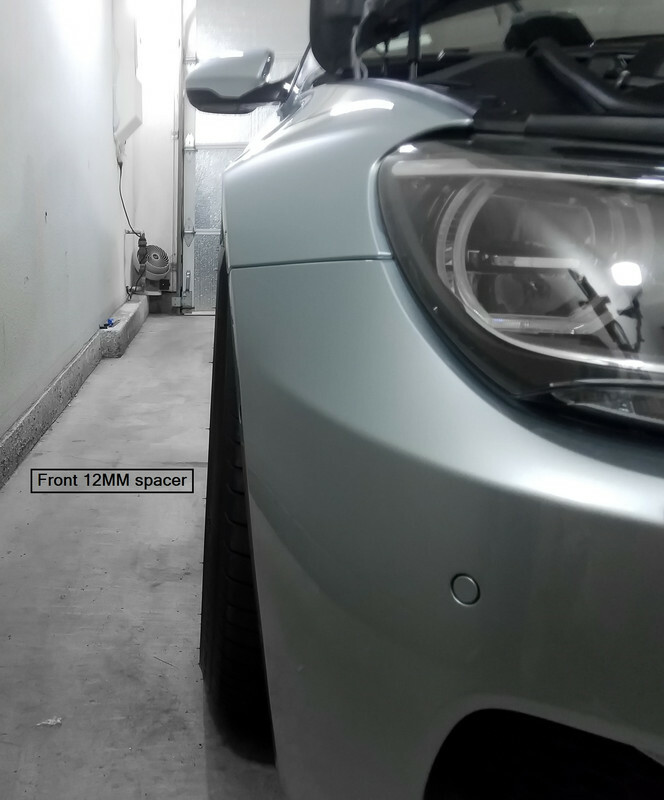 12MM front & 15MM rear. Last edited by BadSeed; 12-12-2018 at 02:38 PM. I went with 5mm all around after putting on my HAS kit. I talked with IND when I was purchasing mine and that's what they recommended. As I was putting them on I could see a dramatic difference even with just 5mm. I didn't take before/after photos unfortunately. Think 5 also gives me options when I eventually move to a 275/305 setup down the road as well. I like the look very much but what about stone chips maybe 10/10 is the more safe version. What do you think. how does the drive feeling change? This answer is useless without pics. what about cart tracks. I'm actually thinking of going with 10mm/12mm spacers myself. Was about to start a thread on the subject, but glad to see someone else is pondering the same thing. 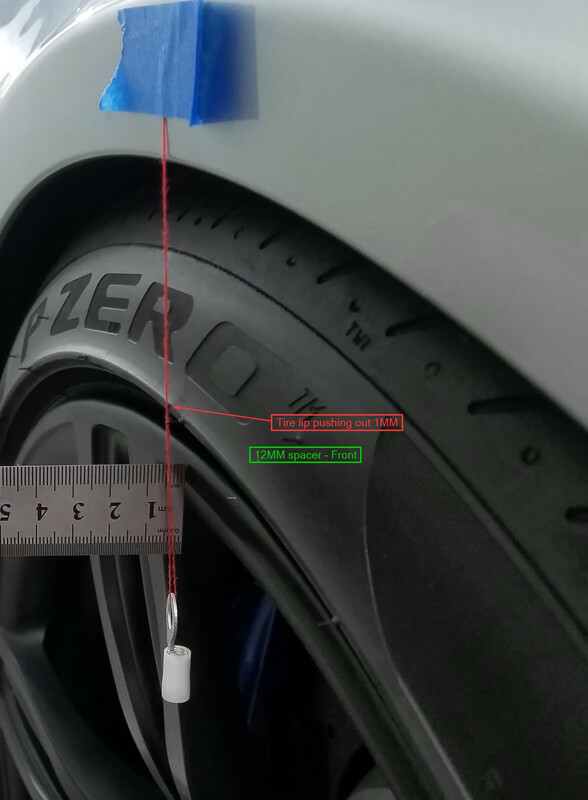 Are you running OEM tire sizes on those pics? Is anyone running 10/12/15 spacers on stock suspension? Pics? BadSeed, any more pics of your setup? Different angles, etc.. Thanks, and sorry for hijacking the thread. Last edited by BadSeed; 12-12-2018 at 02:34 PM. Yeah, looking at it, I'm thinking 10f/12r, to be honest. Looks nice, just a bit too aggressive for my taste. Also, just to confirm, you're already dropped on the two pics, right? Yup. I basically picked up the car from the dealership then drove it straight to a shop for the KW HAS install. Last edited by Flo1989; 12-12-2018 at 08:14 PM. Last edited by Havy; 12-13-2018 at 02:01 PM. With 15MM I had slight rubbing. Just enough to leave a mark & remove tire gel. Its definitely not cutting into the tire. Occurs on steep driveways & shallow dips driving 30+ MPH. Didn't hear it going over speed bumps. 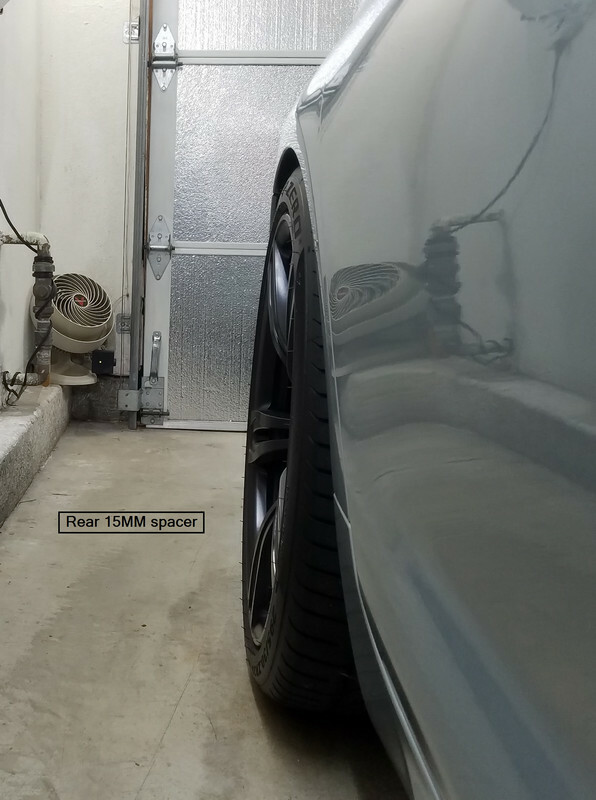 If springs were just installed, alignment should be performed. Thanks for the insight. I will play around with it a bit and try out sport & sport + for the dampers - as I was in comfort mode during my experience. I actually did my own little test today and cleaned the inside of the fender well lip and took it for a drive. I then began to do the opposite of what we'd normally do; look for bumps, steep driveways, etc. 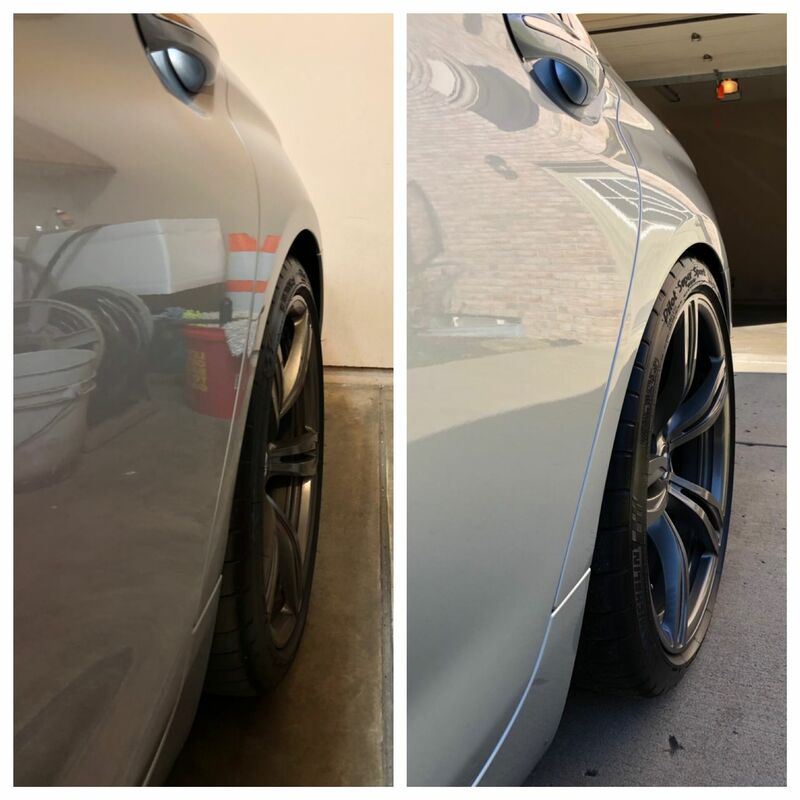 I didn't hear anything and when I arrived back home, the fender well lip was still clean - no residue from the tire coating. This of course was a good sign. I think I'm going to stick with the 12mm for a while as I really like the stance it gives me. I did not get an alignment as I just had the springs installed yesterday. Since it will be sitting in the garage for the next couple of months (Ohio winters) my plan was to get the alignment early March when I get new tires. 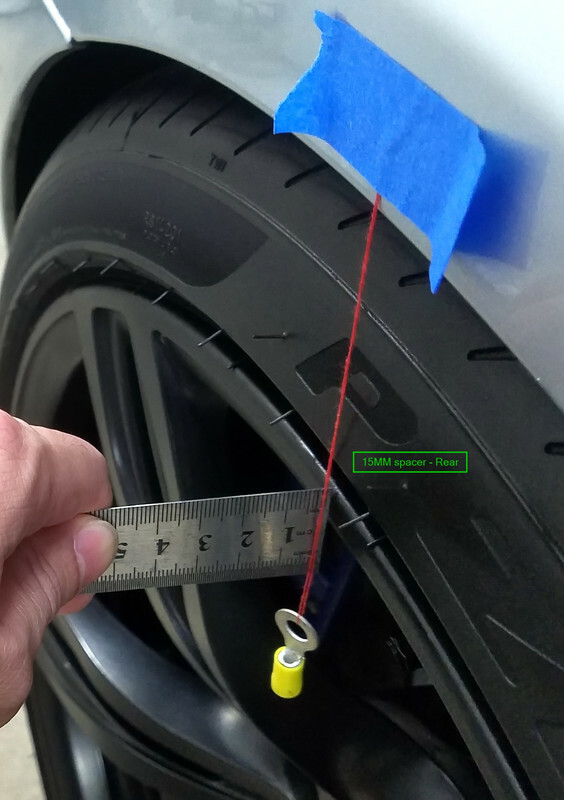 In your experience, have you found it best to go with OEM spec for the alignment, even after lowering? Glad to hear your testing resulted in a positive note. Last 2 vehicles I've owned, alignment is set to even tire wear (OEM spec) after lowering. Prior to that due to camber I would have to dismount the rears every 4000 miles or so & swap left to right just to make them last longer. Otherwise the inner corner would wear out & need to be replaced every 9000 miles or so. 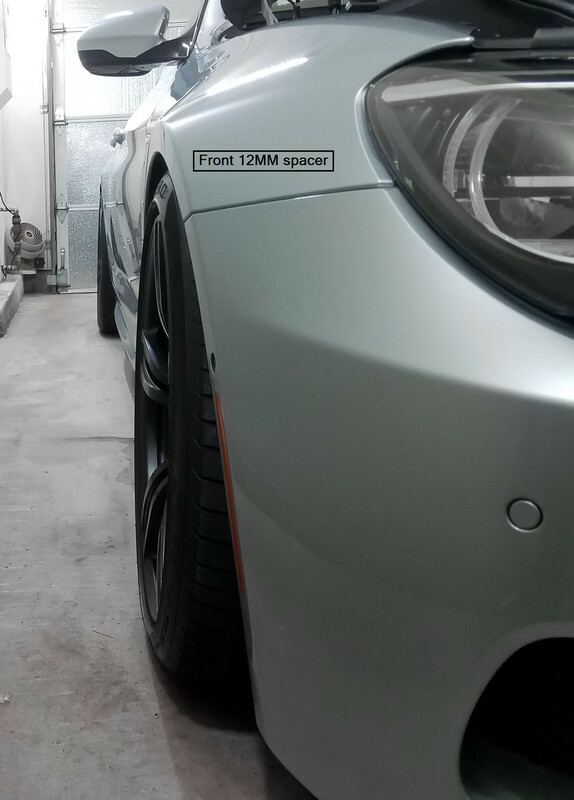 The last 2 vehicles were also ///M cars so no need to roll the fenders. 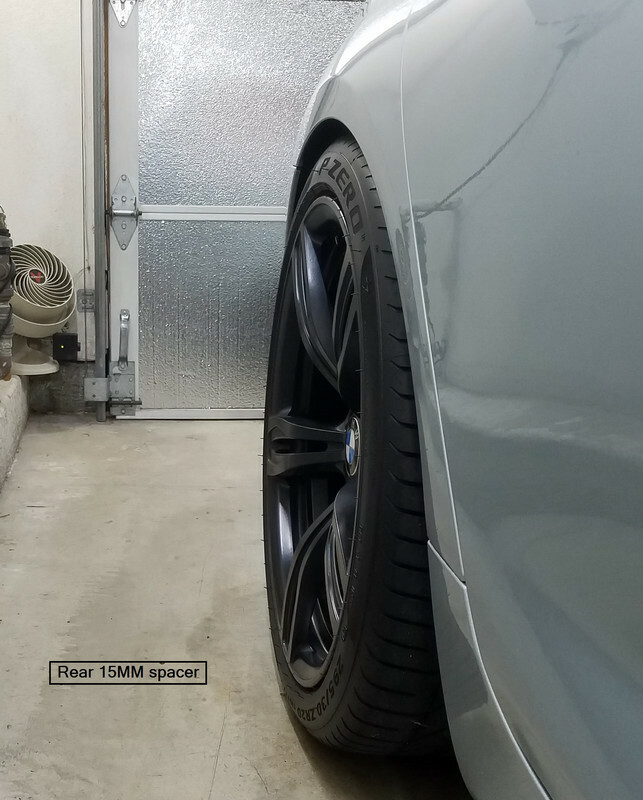 For the non ///M models, I didn't feel like rolling the fenders so I went for the cambered setup instead. 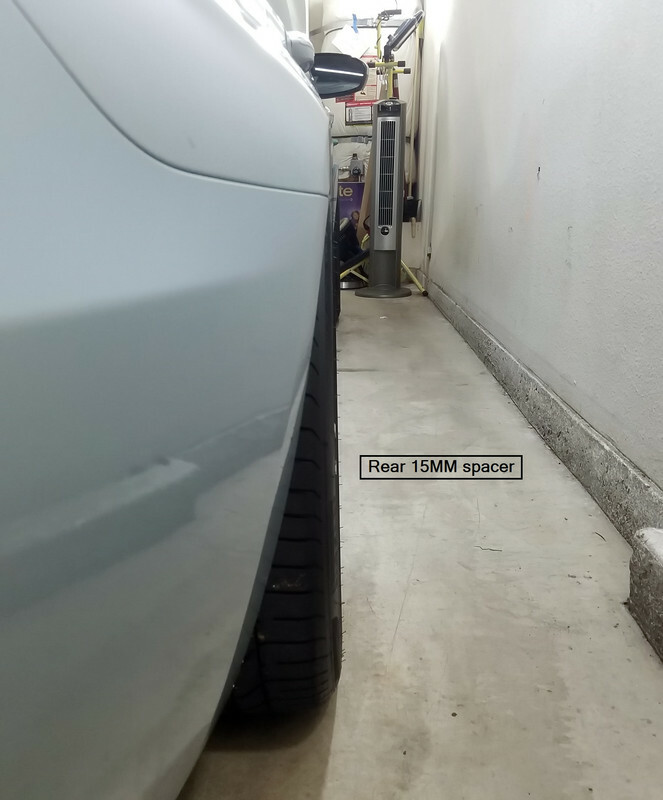 Figured this may help someone considering 12mm spacers in the rear. YES! I saw your car over the weekend on another thread; immediately placed my purchase. lol. Going with 10mm fronts and 12mm rears. Still on stock suspension, but for some reason it looks pretty low (to me) already, so we'll see. Just checking these are 295 rears? Yup - that's going to be a nice set up. If I were to ever run spacers in the front I'd go with 10mm also. Do you have a competition pack car? If so, they're lower than the non comp cars by like .25" inch I believe. Yes, 295 rears. I actually wanted to run 295 Cup 2's in the rear but the sidewall is taller than the SS so I think I would run into issues. So I'll probably just run Sport 4S all around.